1. Start by removing all the fine hair off the balls and remove the hanger by twisting and pulling and set aside into sealable sandwich bag so you do not lose. You will replace these after completing your snowball ornament. 2. Insert wooden skewer into all balls . These serve as a handle to make painting all sides easier. 3. After painting ball a base coat or two , if needed, insert skewered ball into glass jar to hold until it is dry. 4. Once all balls are dry, remove from jar and begin painting textured snow paint onto entire ball . 5. Over paper, sprinkle fine white glitter onto fake snow. Once completely covered, place ends of skewers back into jar to dry. Because of thickness of fake snow, it may take an hour or more to be thoroughly dry. 6. As needed, fold paper and use as a funnel to return glitter back into glitter jar. 7. Once balls are dry, hold snowball and remove skewer. 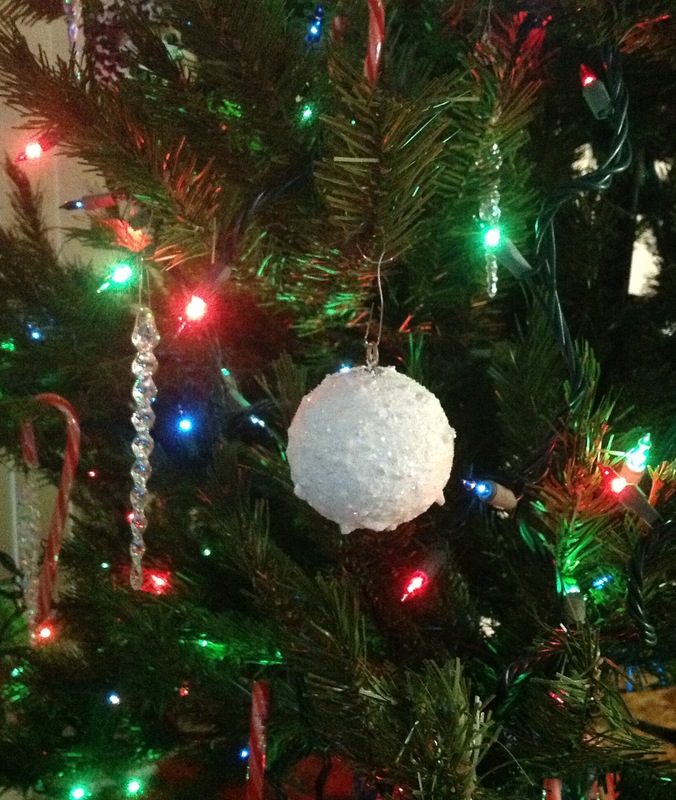 Place a drop of hot glue onto end of ornament hanger and insert into hole on snowball. 8. Place tissue paper inside shirt or robe box as if you were packaging a gift. Take tissue paper and fold in half to form a large triangle and twist. This will serve as the separation paper to prevent balls from touching each other or rolling around in box. Just wind around sides of balls so they do not touch other balls. ENJOY FOR YEARS TO COME. A DOZEN MAKES A LOVELY ONE-OF-A-KIND HOMEMADE GIFT TOO!